Ahead of Construction Safety Week 2018, the HSA invites you to attend their half-day seminar on improving health and safety procedures in the construction sector. This seminar will focus on three key topics of relevance to those involved in construction namely work at height, construction work related vehicles and dangerous substances. Attendees will gain an insight and understanding of the key risks in each of these areas and how they may be controlled through pre-planning activities and adopting safer working practices. Glenveagh PLC are proud to Sponsor and Partner CIF for Construction Safety Week 2018. Health & Safety is a core value in Glenveagh PLC and is entwined in all aspects of our business during the creation of our homes and apartments. The wellbeing of our staff is important, we have recently collaborated with the CWHT delivering screening to all our staff on our sites and will continue our wellbeing initiatives throughout the year. Throughout Safety week our sites will have events to mark each days topic, Daily toolbox talks and Guest speakers along with other activities. As a company we will be taking the opportunity to promote the safety systems that have been introduced across the organisation. We will be actively promoting safety week across social media platforms. Clive Kelly Safety Ltd provide a Nationwide service to many Construction Companies to include Safety Training, Safety Audits and Consultancy, GA1 lifting equipment inspections. We will be promoting construction safety week with our customers and we will email and encourage companies to make an effort and to take part to promote safety in the workplace. Castlethorn will be actively promoting and participating in Construction Safety Week 2018. The Safety Week videos were shot on location in our Brighton Wood Development in Foxrock. It was a pleasure to host the crew for the shoot. We look forward to receiving these videos daily and sharing across all our social media platforms. The best safety standard ensure we all go home safely each day. We are proud to partner with the CIF for Construction Safety Week (CSW) 2018 and will be actively involved in promoting the themes for each day, including European Agency for Health & Safety at Work ‘Manage Dangerous Substances’. We will engage our Chain Supply to ensure Leo Lynch continue to demonstrate best practice in health and safety. In support of Construction Safety Week 2018, Mulcahy Construction Ltd. will be taking the CIF Safety Week as as an opportunity to highlight the hazards and risks across all our sites and promote and enhance our safety culture moving forward. Circulate and post copies of the CIF safety week daily themed posters at prominent locations on all our sites. Safety related demonstrations from suppliers, guest speakers. Presentations delving into further detail on daily CIF Safety Week 2018 topics. Encourage operative participation and engagement in hazard identification. Will have all our staff view the daily videos and give tool box talks on the topics. MMP will be using Construction Safety Week as an opportunity to highlight the hazards and risks on a construction site, and promote a positive H&S culture from our office. Encouraging each other both as individuals and as contractors. as well as others depending on the site. It is hoped to roll out our new Site Induction video during safety week also. We would love to set up a safety talk in collaboration with our customer Greeneform. Hünnebeck is an internationally renown formwork supplier specializing in wall and slab formwork, shoring systems and safety equipment for a wide range of infrastructure, residential, commercial and industrial construction projects. Dating back to 1929, Hünnebeck is one of the industry’s best known and well-respected suppliers for formwork and shoring. We are very excited to be part of the Construction Safety Week. 1. Daily Toolbox Talks – Bringing everyone in the factory together daily to talk about safety on the floor and update on our progress to achieving ISO 45001 in January. 2. Hazard Hunt – A challenge for employees to spot the hazard and amend the situation so it doesn’t happen again. 3. 5 S’s – Everything in it’s place and a place for everything! The team will focus on one ‘S’ per day. 4. Safety quiz for all employees and a prize for the winner with the most correct answers! We’ll be sharing our experience on our social media channels throughout the week. King and Moffatt are delighted to work in partnership with the CIF in achieving their mission for Construction Safety Week 2018. It’s the perfect opportunity to involve staff from all levels of the organisation in promoting a safety and health culture among the workforce. Initiatives will involve the delivery of toolbox talks reflecting the daily theme across K&M sites as follows: 1. Work at Heights 2. Mental Health and wellbeing 3. Electricity and utilities 4. Hazardous Substances 5. Managing Vehicles. We intend to run with the topics allocated to each day as part of Safety Week and also promote healthy eating on our sites as part of the Positive Mental Health focus. We intend to do daily workshops/Tool Box Talks on site encouraging participation from sub contractors and workforce alike. – Guest Speaker on Prostate Cancer: What are the signs and what should you do? In support of Construction Safety Week 2018, Purcell Ltd will be taking (CSW) as an opportunity to highlight the hazards and risks across all our sites, and promote a positive EHS culture. § Encourage operative participation and engagement in hazard identification. § Safety promotion through stand downs. § Enhancing our safety culture through team participation in (CSW). EPL are delighted to have the opportunity to be involved in the Construction Industry Federation and Construction Safety Week 2018. Having been involved in Safety Week for the past 5 years we can appreciate the positive influence these safety weeks have on all involved. Effective Health and Safety Management is foremost priority for EPL. EPL has a proactive approach to Safety, making education, training and Health and Safety Awareness and integral part of our company. EPL have achieved a Grade ‘A’ in our recent Safe-T-Cert recertification audit. – Display the CIF safety week daily topic posters to raise awareness & promote safety week to our employees and subcontractors. – Have a safety suggestion box on each site to invite suggestions and observations from all site staff on how health and safety culture can be improved. 8AM. STAND DOWN ON ALL PROJECTS FOR ALL PERSONNEL BEFORE WORKS COMMENCE FOR THE WEEK. THE PURPOSE OF THIS IS TO EXPLAIN WHAT CONSTRUCTION SAFETY WEEK IS ABOUT, THE EVENTS TAKING PLACE OVER THE WEEK AND THE REQUEST COMMITTMENT TO ATTEND EVENTS TAKING PLACE. CSW CHAMPION APPOINTED ON EACH PROJECT. HSE TEAM MEMBERS, PROJECT STAFF, SUB-CONTRACTOR DIRECTORS, ETC FROM 9.30 UNTIL 11.30. CIF CONSTRUCTION SAFETY WEEK VIDEOS SHOWN ON ALL PROJECTS DURING THE WEEK. LAUNCH OF THE COMPANY HEALTH AND SAFETY THEMED CHILDREN’S ART COMPETITION WITH EASONS BOOK TOKEN PRIZES FOR 1ST, 2ND AND 3RD IN EACH CATEGORY. WINNERS WILL BE SELECTED FOR THE 2019 CALENDAR. GREAT CATCH VOUCHERS TO BE AWARDED ON ALL PROJECTS DURING THE WEEK WITH VOUCHERS TO BE PROPORTIONALLY DISTRIBUTED ACROSS ALL PROJECTS. VOUCHERS TO BE PRESENTED BASED ON BEST PRACTICE PERFORMANCE IN RELATION TO THE DAILY THEME. 12 PM STAND-DOWN ON ALL PROJECTS FOR 1 MINUTE TO COMMEMORATE THOSE WHO HAVE BEEN SERIOUSLY INJURED OR LOST THEIR LIVES IN OUR INDUSTRY. POSTER DISPLAYED ON ALL PROJECTS BASED ON THE DAILY TOPIC. DAILY THEMED EVENTS ON ALL PROJECTS. ENCOURAGEMENT TO THE SUPPLY CHAIN TO ACTIVELY PARTICIPATE IN ALL EVENTS AND TO RUN THEIR OWN. TO ENSURE THAT EVERYONE ON ALL PROJECTS ARE INVOLVED IN THE EVENTS WE ORGANISE WITH A VIEW TO RAISING AWARENESS AND FURTHER IMPROVING HEALTH AND SAFETY STANDARD ON OUR PROJECTS. Working with our Health & Safety Consultants Ayrton Group with activities on site throughout the week. Kilcawley Construction are delighted to once again partner with CIF Construction safety week. The week will be used as an opportunity to highlight good safety practice that is currently being used and to highlight the importance of Health & Safety for all team members and supply chain members. We will be carrying workshops and tool box talks throughout the week based on particular safety hazards related to the projects. PJH are proud to partner with CIF for construction safety week to ensure our industry promotes the best safety standards. We will kick start the week with the launch of our yearly company safety week poster. All PJH site projects will have their own scheduled events for CIF safety week. Orona Mid Western Lifts will be using Construction Safety Week as an opportunity to reiterate not only the hazards and risks associated with lift insulation’s, but also the hazards of other on going works that may lead to potential hazardous situations on construction sites. Further to this Orona Mid Western Lifts wish to take the opportunity to help promote a positive H&S culture throughout our organisation and among all our sub contractors by holding daily briefings and discussing the topics of safety week 2018. L&M Keating are committed to ensuring the highest standard of health and safety through its activities. Increase awareness of the importance of being committed to safety & health… every day. As part of L&M Keating’s commitment to the success of a Construction Safety Week that will enhance employee, safety, health and wellbeing, a number of addition safety and wellbeing awareness activates will be under taken. • Importance of appropriate working at height equipment selection including harness selection and fitting. Winthrop Engineering Ltd., are very proud to work in partnership with the CIF and to collaborate in re-enforcement of the mission of Construction Safety Week 2018. Stand down to explain the background to Construction Safety Week and engage all site supervisors in the activities during the campaign. Daily High Risk Activity focus area Silica Dust. Daily High Risk activity focus Ground disturbance. External supplier MEWP Basket Rescue Demonstration. Daily High Risk Activity focus area Manual Handling. Mental Health awareness in the construction industry briefing . Daily High Risk Activity focus area Safe Driving. External Guest Speaker – work accident. Daily High Risk Activity focus area Work At height. External Supplier safety demonstration – Work at height. Circulate the Daily topic posters across all GMC sites to raise awareness & promote the Construction safety week to our employees and subcontractors. Special Guest speaker Gary Gallagher on Falls from Height. We at Flynn Management & Contractors are delighted to partner with the CIF for Construction Safety Week again in 2018. With our mission of ‘Working Safely Together ‘ we commit to working with our workforce, clients and contractors to promote the themes of CIF Safety Week holding a number of events across all our projects. We have a week of activities planned in an attempt to raise awareness of health and safety. We will hold daily tool box talks to focus on safety in the workplace and we will focus on the health and well being of our staff with a particular focus on mental health. We have Guest Speakers coming in to speak to us about safety, mental health and well being. We will finish off the week with a Quiz for staff which will ask questions about all the topics covered throughout the week. A very nice prize is planned for the winner! Ardmac are proud to partner with the CIF for Construction Safety Week 2018 and are delighted to be actively involved in promoting industry best standards. We will deliver tool box talks during the week, focusing on the daily topics. Circulating the poster campaign across our various sites to help promote focus on site safety amongst staff and subcontractors. Encourage employees focus on pre-work start hazard identification. Extra prizes for our company ‘suggestion card / good catch’ initiative draws. 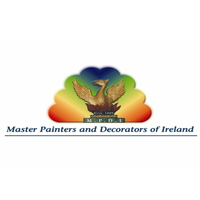 We plan of running events everyday across all of our sites in Ireland and overseas, they will include presentations, toolbox talks, safety related demonstrations from suppliers, guest speakers. EazySAFE offer a range of environmental, health and safety training courses online. Since merging with our sister company Phoenix Safety, we also offer environmental, health and safety consultancy services and instructor-led (classroom) training. Throughout Construction Safety Week, EazySAFE will be offering online construction related courses (Working at Heights, Asbestos Awareness) to promote health and safety awareness onsite. We have installed large banners on all sites reinforcing our Commitment to CIF Safety Week. The CIF Safety Week poster campaign is also displayed prominently to promote this initiative amongst our employees and our subcontractors. We will share our progress throughout the week on our social media platforms. Print large banners advertising the upcoming event and display the CSW poster campaign on site to promote this initiative amongst staff and subcontractors. Formal launch of Safety Week, Director address to the workforce. Stand downs, hazard spotting and Tool box Talks on the topic of the day. Video & PowerPoint presentations to the workforce. Thursday – Working at Height. Management engagement with the workforce and feedback on suggestions for improvement. Recognition and appreciation award. Provide updates on social media. Hegarty Demolition are supporting the CIF Safety week and will be inviting guest speakers to deliver safety talks throughout the week. All Posters issued by CIF will be placed on canteen walls in all Hegarty Demolition sites. TBTs throughout the week will focus on topics raised by the CIF. Toolbox Talks given daily on the topic relevant for that day to all sites, yard and offices. Daily mini quiz with a prize for each day – 1 winner for site and 1 for yard/office. Overall draw for a prize at end of week. Glenveagh Properties have invited KDK to their site in Greystones on Monday 22nd to do a short presentation on working at height in relation to scaffolding. Safety Director Robert Kelly will deliver this presentation. Safety Director: Robert Kelly and Health & Safety Coordinator: Eileen Jordan will attend a seminar on Tuesday 23rd in Clayton Hotel, Liffey Valley organised by the H.S.A. We are developing the digital twin of mechanised tunneling. This helps for the safety of underground workers by not be physically available during the time when it is not recommended but required for inspection. So, they can be virtually inspect the TBM and tunnel on real-time. We called this service, VaaS (Virtual as a Service) by Tunnelware. 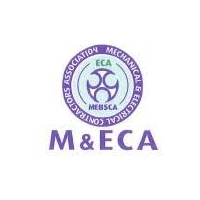 -Navigation Square project in Cork will have Access and Forklift Services doing a presentation on the safe use of MEWPS, Hilti Ltd. demonstrating their products to reduce silica dust exposure and the RSA will have a presentation on Driving Safely for Work. John Paul construction will hold stand downs for Safety week each day on each site with a programme of activities planned across our sites to follow the daily themes for the week. We will share information on our progress during the week. Holden will reward positive safety behavior and actions over the weeks leading up to Safety Week and by presenting awards during that week. BMD & Co Ltd Cork will continue to show our support for the Construction Safety Week 2018 by holding various events on our sites including Pfizer, Novartis, Hovione and Eli Lilly Kinsale etc.. Stand down on all our sites to explain the background to Construction Safety Week and engage all site supervisors in the activities during the campaign. BMD have organised a Psychologist with the HSE South to deliver a Mental Health awareness presentation on one of our larger sites. BMD have developed a safety crossword that will be issued to all BMD employees to complete. They can enter the crossword draw for the chance of winning “one for all” voucher-see attached-(any company can use). Also during the construction safety week BMD will discuss the different themed day topics during the Construction safety week. We would like to have possibly a health speaker dealing with work/life balance, a H&S based quiz on Friday based on daily toolbox talks given that week on each of the daily topics. Possibly have a prize like a carbon monoxide detector, home fire extinguisher/fire blanket and a nice treat of course! -We will display the official CIF Safety Week posters in all of our site offices. -We will be actively promoting the CIF safety week across our social media platforms. JMSL will hold white board meetings each day focusing on open discussions around safety week themes. M&P Construction / Walmac are celebrating 25 years in business and will be using Construction Safety Week as an opportunity to promote the company objectives on Health and Safety and promote an inclusive positive H&S culture from within the company. ACB Group, specialists in Design & Construct External Envelope & Internal Cladding Systems are delighted to participate in this year’s CIF Construction Safety Week. • Reiteration of the importance of using ACB Site Safe App and Auditing tools daily to promote safe behaviour on site. • Promotion of near miss reporting by all staff. Harold Engineering Ltd are delighted to take part in CIF Health and Safety Week for the second year. This year we have two schedules in operation. One for those out on the road and one for administration staff. The plan in place for all covers Housekeeping, Mental and Physical Health, Hygiene and Driving Safely. We also have Electrical Safety and Working at Heights for engineers and Ergonomics for admin staff. During this week, we have organised a guest speaker to talk about general safety on site. We will focus on Mental Health and Physical Health by launching our Employee Assistance Programme. We will be encouraging a short walk before lunch, and providing information on healthy eating. We are providing the flu vaccine for all employees. We will email the information received by CIF daily among others. Cobec Engineering will be holding a safety talk morning for our on-site staff at Block i Central Park, Leopardstown. We have invited guest speakers from one of our power tool vendors, HILTI Ireland,to give an in-depth review/safety procedure walk-through of all our power tools on the site. Bennett Construction are proud to once again partner with the CIF in promoting this year’s Construction Safety Week. This week will be used to highlight good safety practice on all our projects. Bennetts will hold stand downs for Safety week each day on each site with planed toolbox talks during the week. mac-group is proud to Partner with CIF for Construction Safety Week 2018. Health and Safety on our sites is culturally ingrained – it’s endemic. This is a key objective of our Management Board that has been achieved through continual systemic fortification of safety attitudes, and by investing in creative ways to achieve buy-in from operatives. When safety is second nature, there is rarely a need to enforce sanctions for breaches. Promote the safety systems that have been introduced across the organisation. Produce a piece on Health & Safety in our monthly newsletter. Promote the daily topics across our social media. Conway Engineering are delighted to support Construction Safety Week from 22nd to 26th October 2018. As an Employer, we have invested time and money to drive improvements, endeavouring to ensure all workers can work safely on our Construction Projects. We view Construction Safety Week as an opportunity to take stock of our safety procedures and work together to drive home the positive safety message. During the week CJK Engineering will be carrying out daily stand-downs across all our projects, with our staff and contractors to highlight the daily topics and raise awareness in Safe Working at Height, Positive Mental Health, Safe Working Near Utilities, Working Safely with Hazardous Substances and Working Safely with Vehicles. We intend to utilise the week to remind all our personnel of the importance of not only working safely on our own sites but also instilling that ethos into others to ensure construction projects become a less hazardous environment for everyone. Clancy are proud to partner with CIF for construction safety week to ensure our industry promotes the best safety standards. We will kick start the safety week early on Friday 19th with the RSA & Garda Siochana delivering toolbox talks on road safety/driving for work to our staff and contractors in Glen Haven. All Clancy site projects will have their own scheduled events for CIF safety week. We intend to distribute a multiple choice quiz sheet with questions across a wide range of construction-related issues which we feel are particularly relevant to the types of typical activities carried out on this site. One 4 all vouchers will be given to the correct answer sheet(s) drawn. We would hope that the quiz questions will give rise to a conversation about construction safety among the workforce across a range of issues and by doing so improve employee engagement in safety procedures. We hope to have some practical demonstrations, talks and other activities on our pharmaceutical waste water treatment plant upgrade site in Co. Cork site on construction safety which we will also support and help to advertise on our project. Over the course of the week we will have the various CIF Safety Week posters printed off and posted in various locations. Companies involved in our project will conduct safety stand-downs daily with a toolbox talk about each daily theme. As we are predominantly a plant based civil engineering company we will be focusing largely on people plant interface and the dangers associated with this method of works. Interactive talks will be held with our workforce to demonstrate and highlight the danger associated with this type of work. Ayrton Group are delighted to be associated with CIF Safety Week. We have arranged and agreed various initiatives with our large client base for this week. This includes High Level Safety Audits, topic specific tool box talks, competitions, colouring competitions for children of construction site workers, fire drills, Safety Observation Reports (SOR’s) and so on. Cleary Doyle Construction Ltd will be covering Mental Health as this is a big agenda at present. He hope to have a speaker from Pieta House coming to our Morehampton Road Site in Donnybrook, Dublin 4 whereby all site members will attend. We will be erecting CIF Construction Week Posters on all our sites. We will be completing Management Briefings on this topic on all other sites. Murphy Surveys are delighted to work in partnership with the CIF as part of Construction Safety Week 2018. At Murphy Surveys we foster a culture and environment where we put health, safety and wellbeing first, and we’re continually looking at ways in which we can strengthen our existing processes and training programmes. During Construction Safety Week and in addition to our normal safety procedures, we’ll be running a series of initiatives including daily employee safety campaigns to raise the awareness of health and safety issues. Our Health and Safety Officer will also be onsite visiting our main construction projects, engaging with our staff and other parties to support best practice. Cairn Homes are actively taking part in Safety Week again this year. We will be running safety talks daily on each of our 9 live sites throughout the week. The following H&S promotional activities will be carried out on all sites. Safety Quiz is distributed to the contractors and prizes awarded. John Sisk and Son (Holdings) Ltd.
Sisk will be promoting and participating in the CIF Construction Safety Week 2018 on our sites. Positive Mental Health talk to site teams , Electrical Energy – Arc flash briefing etc. Hazardous substances -Chemical Agent awareness & assessments. Richard Nolan Civil Engineering Ltd plan to roll out a series tool boxes talks specific to each day of CSW 2018 across our sites. These will be briefed by our safety team in connection with the RNCE project management teams across the organisation. RNCE will also display the CSW 2018 posters across all noticeboards in RNCE head office. CField are happy to once again partner CIF for Construction Safety Week 2018. Safety is CField’s number one priority and our excellent safety record highlights our commitment to our staff and contractor’s well-being. We are extremely proud to have achieved certification to ISO 45001:2018, the world’s first International Standard for Occupational Health and Safety, which was awarded in June this year, becoming one of the first companies in Europe to achieve accreditation. I will be carrying out toolbox talks with all my client sites. Highlighting the need to get prepared for the darker winter months. I also encourage all subcontractors to refresh their high-vis during safety week, especially ground workers, labourers and civil contractors. We will be carrying out daily information sessions toolbox talks on these topics across our sites. Monday: Traffic management, notices, routes and the rules. Tuesday: When and why High visibility clothing? When does your employer have replace high viz equipment? Wednesday: Underground services, locating, recording and documenting. Friday: Safety let’s all get home safe. On site manual Handling training for Stewart and contractors staff. We intend to get instructors and trainees involved in the activities during the week. Our instructors will show videos from the website and download the different activities. We also hope to have a stand in our canteen for construction safety week. Friday: Information day on the movements of site vehicles and also a training DVD on driving for work. O’Shea’s Electrical is proud to partner with the CIF for construction safety week 2018. Daily Tool Box Talks will be delivered on our various projects in line with the CIF Safety Week Topics. Engage our supply chain to carry out demonstrations/talks on various topics throughout the week. Haughton and Young will be using this Safety Week as an opportunity to build on our awareness and promote a positive Safety culture in our workplace. It is our aspiration to promote the 5 themes set out by the CIF. We will take 5 minutes each day to reflect on each of the topics. We also have Specific Super Toolbox talks arranged for. MMD Construction are delighted to once again partner with the CIF for this year’s Construction Safety Week. The company is using the CIF Construction Safety Week to reinforce our commitment to maintain a safe and healthy workplace for all employees and sub-contractors. Kiernan Engineering will be using Construction Safety Week as an opportunity to highlight the hazards and risks on a construction site, and promote a positive H&S culture from our office. Fire Safety Training will be taking place with our Mechanical Division at the Indeed site within the Capital Dock Project. Our Electrical Division will be undergoing Lock Out Tag Out Training in multiple locations. Director Toolbox Talks will be carried out at numerous locations with the companies 4 Directors taking part and promoting safety with our Mechanical, Electrical and Maintenance Divisions. All employees will be participating in a Companywide P.P.E compliance competition for the entire month of October. The winning site will be revealed during Safety week with each employee on the site receiving a prize. Legionella awareness training will be conducted with our 24 hour Maintenance crew. Tritech Engineering’s Site Management Team including our Project Managers, Engineers and Design Team will be taking part in a Crane Lift briefing session. Safety week will be used to actively promote positive mental Health, this will be driven by our Safety Committee including our 6 Site Safety Representatives. Monday – Bring supplier (Speedy Hire) on site to do TBT on Working at Height on the specific equipment we have on site. Wednesday: TBT on Safe Plans of Action when working with gas in a live building. Tyre safety check by local garage (Malahide Tyres) of all cars in site car park, including client office car park, and distribution of cards with a vehicle winter ready checklist. Thursday: TBT on recognising and dealing with hazardous substances. Relevant tweets and Site Appropriate WhatsApp messages will be sent each day. CityBuild will be promoting and participating in the CIF Construction Safety Week 2018 on our sites. We plan to circulate and post copies of the CIF safety week daily themed posters on sites to raise awareness of Health & Safety on an ongoing basis. The Chris Mee Safety Group (CSME) and Portwest, Charles Hughes Ltd will join forces to influence stronger cultures of health and safety amongst workforces. On Friday, October 26th the two organisations together with BAM Construction will deliver a Working at Heights Safety workshop in the Bolands Mill / Google site. A demonstrator from CSME will be suspended from height using will deliver safety tips and rescue techniques. An online competition for safety workwear and training courses will also be circulated on social media. LMC Group are delighted to work in partnership with the CIF in achieving their mission for Construction Safety Week 2018. This week will be used as an opportunity to highlight good safety practice that is currently being used and to highlight the importance of Health & Safety for all our team members and supply chain members. Wills Bros Ltd are proud to partner with the CIF for Construction Safety Week 2018. Launch of Construction Safety Week 2018 on all Wills Bros Ltd sites. Monday 22nd October– Working Safely at Height- Workshop on loading and unloading deliveries and working at height on our Skerries site. Toolbox talk on working safely at height on all other sites. Tuesday 23rd October– Positive Mental Health- Positive Mental Health talk to site teams. Information leaflets provided to staff. Posters displayed on site notice boards. Wednesday 24th October- Working Safely near Utilities- Go through the Permit to Dig procedure, and how to review a drawing, scan the ground, and mark out a known service correctly on all sites. Thursday 25th October– Working Safely with Hazardous Substances – Poster on Working with Hazardous Substances to be displayed and discussed on all site. Friday 26th October- Working Safely with Vehicles- Toolbox Talk on working near plant and machinery. Is your car winter ready? Pocket Guide for Safe Driving, check on vehicle defect report books/daily plant checksheets. Carey’s will be using the Construction Safety Week as an opportunity to drive and promote a positive Safety Culture across all sites. A safety competition will be run on each site with the aim of gaining active participation from all personnel on site. Also a suggestion box will be set up to gain feedback. A copy of the CIF Safety weekly daily topics will be issued to site and a toolbox carried out on such topics. Ross Engineering Services are extremely proud to partner with the CIF Construction Safety Week 2018. On this years Construction Safety week we intend to push home safety and look to improve the overall preconception of what safety is and why the industry needs more of it. For each day of the week we have arranged awareness and Competency training as much as possible. This will be certified and accredited in most cases. The aim is grow our Training matrix helped with the weeks initiative of the Construction Safety week 2018. Finishing off with a fun Safety quiz for all personnel..
All operatives will fill out Safety Observation Reports and a prize will be presented to the best SOR received. We intend on holding numerous Toolbox Talks with our employees, both on-site with sub-contractors and within the Avonmore Workshop. We will also be hosting a coffee morning in conjunction with Pieta House and their #FeelGoodWeek. Finally, we will be circulating a company-wide Safety in the Workplace Quiz, covering all the topics of Construction Safety Week 2018. Refresh and remind our dedicated team of electricians that their safety and that of their colleagues is the number 1 priority. We intend to hold tool box talks on our sites to emphasise this . 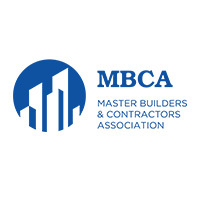 At Modubuild we are always committed to ensuring that all our workers can work safely on construction projects both in Ireland and across Europe. Monday 22nd – Workstation set up, to include a briefing on upper limb disorders and the muscloskeletal system. Tuesday 23rd – Communication while working with different languages. Wednesday 24th – Rules of the road when driving abroad. Thursday 25th Importance of Incident and Near Miss reporting. Friday 26th – CPR and AED demonstration and Practice. Duffy Contractors will be using the CIF Construction Safety Week as an opportunity to promote a positive Safety Culture with our company. Duffy Contractors plan to hold daily Toolbox Talks in line with CIF Safety Week topics and also plan to have a specific talk on Driving for Work/Vehicle Safety. The Chris Mee Group (CMSE Safety Consultants Training) is the largest provider of Health & Safety, EHS, Environmental and Carbon Emissions services in Ireland. • Promoting our safety suggestion / observations box tool among all Personnel. • ‘One Winter’ Safety Events across all our sites to highlight specific hazards of working in winter months. Raise awareness of Mental Health with a briefing from Marion Kiely of Upstream Safety. Carry out Tool Box talks on sites. This week we will be working with the CIF initiative and hosting the theme agenda each day on all our sites, we will have a stand down for 45 minutes, where all employees will watch the CIF video of the day followed by a Q&A and additional information of the themed day handed out to employees. This is a great a idea and we support it 100%. We want all employees to return home safely each and every day. *We will display the official CIF Safety Week posters in all of our site offices and our head office. * We will be running a on site competition for employees who make safety suggestions. *We will be actively promoting the CIF safety week across our social media platforms.